Massachusetts Democratic Sen. Elizabeth Warren officially pledged to reject fossil fuel campaign donations, becoming the first 2020 presidential contender to do so. While making her first visit to New Hampshire since announcing the launch of her presidential exploratory committee, Warren on Saturday called for “systemic change” that involves much more than just “change around the margins.” The progressive senator touted her desire to legalize marijuana, boost estate taxes and expand affordable housing. Warren also set the pace on climate change by becoming the first Democratic presidential candidate to vow not to accept money from oil and gas interests. ???? THIS. IS. HUGE. ???? Today @ewarren signed the #NoFossilFuelMoney pledge! Not only is this a strong move to take power away from big oil & gas, but it’s a statement about where the Democratic priorities lie. Under the stipulations of the pledge, Warren cannot knowingly accept contributions above $200 from any political action committees, employees or front groups tied to fossil fuel companies. The senior senator from Massachusetts joins other possible presidential contenders — such as Vermont Independent Sen. Bernie Sanders, Oregon Democratic Sen. Jeff Merkley and Washington Democratic Gov. Jay Inslee — in signing her name onto the pledge. The pledge appears to indicate Warren has shifted leftward on the issue of fossil fuel money in politics. She dodged a question in August about the Democratic National Committee’s decision to reverse its stance on fossil fuel money, allowing once again to accept money from oil and gas interests. Warren’s pledge to reject fossil fuels on Saturday follows lobbying from the Sunrise Movement — an environmentalist group that’s heavily involved in promoting the Green New Deal. “We’re making it clear any politician who wants to run for federal office needs to support the Green New Deal and not take fossil fuel money,” Varshini Prakash, founder of Sunrise, said during a Sunday conference call with activists and reporters. The organization — which is quickly becoming influential among environmental and progressive circles — was involved in New York Democratic Rep. Alexandria Ocasio-Cortez’s candidacy and has gone on to push Democratic lawmakers more left on climate change issues. Because it is not legally required to disclose its donors, not much has been known about the money behind the Sunrise Movement. However, a recent profile piece on the organization has shed some light on the organizations funding its activities. Institutional funders for Sunrise include the Rockefeller Family Fund, the Winslow Foundation and the Wallace Global Fund, supplying 55 percent of the group’s 2018 budget. 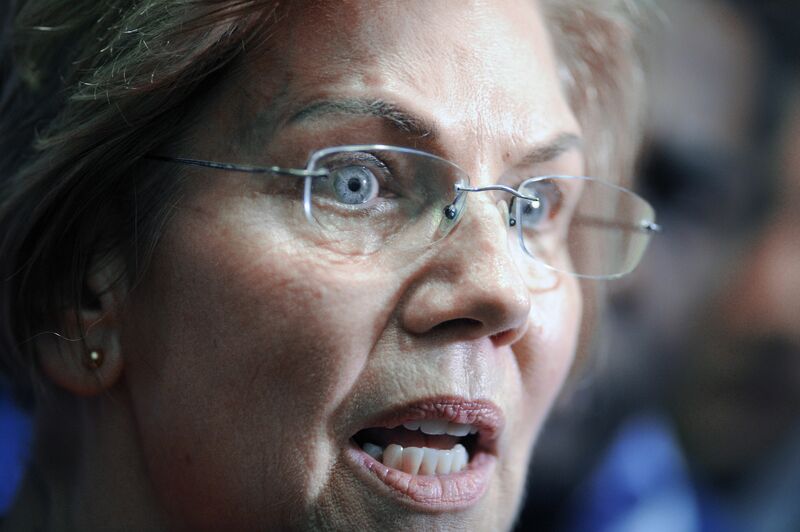 The Daily Caller News Foundation reached out to Warren’s campaign, inquiring about her position on population control as a means to fight climate change, but did not hear back in time for publication.